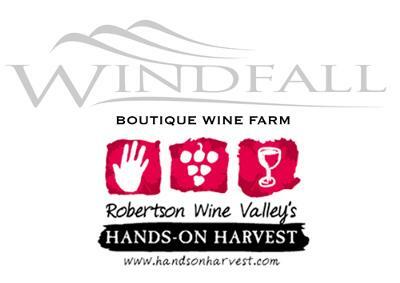 The Robertson Wine Valley is proud to host it's second Hands-on Harvest festival. This boutique event offers wine aficionados and budding vintners a chance to experience the magic of harvest for a day – without having to quit their day jobs. Guests can look forward to: * Grape Picking * Bunch Sorting * Stomping your own grapes * Grape vs Wine Tasting * Harvest Market * Vineyard Tractor Trips * Must tasting * Brandy blending experience * Wine tasting by Horse Cart....and much more! This is going to be a superb time to visit the farms and get to know the people who take pride in their wines! Windfall farm is hosting wine paired with canapes by a private chef. Meet Kobus our winemaker who is going to take you through the cellar and also host a grape tasting! Chelsea buns made from the grape juice are going to be sold, they taste like ice- cream. We hope to see you there, the price is R50 per person.